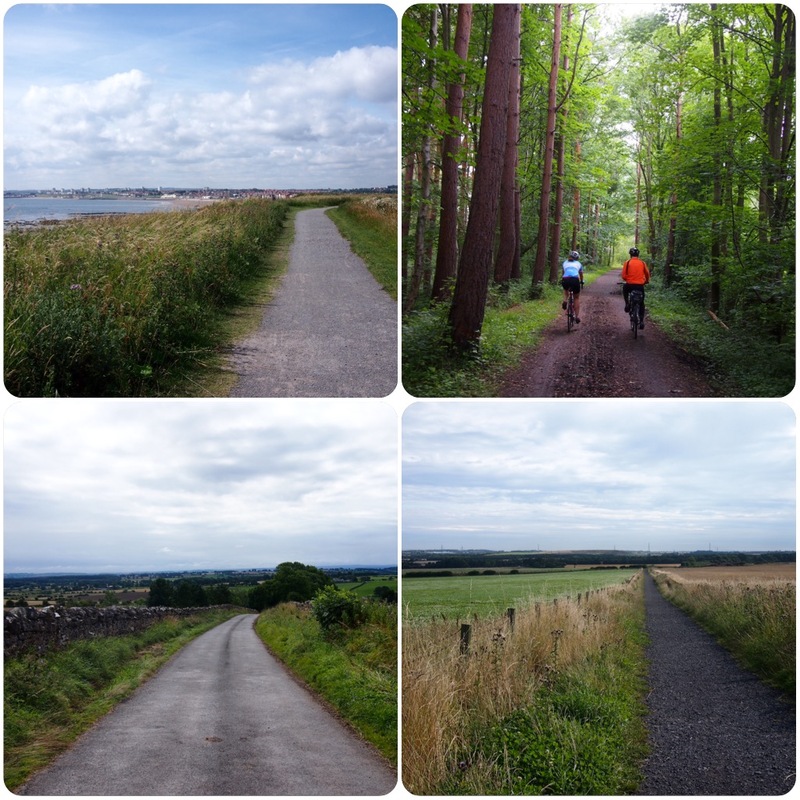 Since returning to the UK, we’ve re-settled in North-East England and have taken up cycling as a way to improve our fitness and with an aim to resurrect a years old plan of completing the Coast-to-Coast (C2C) cycle route. As is fairly typical for us our ambitions swelled (we did initially only plan on travelling for one year after all) and the C2C changed into the G2C2C (Gateshead-to-Coast-to-Coast), a loop from our home in Gateshead along the Hadrian’s Cycleway to Whitehaven and returning along the C2C path. Obviously before beginning such a venture a certain amount of kit is required, not least a bicycle! Cycling can be an expensive hobby especially if, like Andrew, you’re easily tempted by shiny gadgets and gizmos, but we’ve managed to restrain ourselves pretty well and have gradually accumulated bits and pieces as the need arose, finding that many items can be sourced cheaply, second hand or otherwise, through eBay or Gumtree. 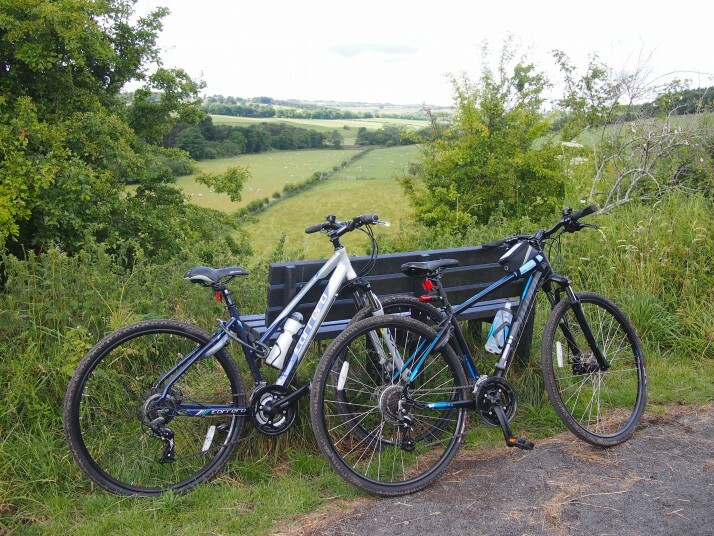 Bicycle – We opted for hybrid style bikes which are a good compromise between lightweight road bikes with very thin tyres and the chunky tyres and suspension of a mountain bike, perfect for riding a combination of trails and roads. Helmet – I don’t really need to explain this one do I? This video on cycle helmets made by the Manitoba Government made us smile! Water bottle – ideally with a cage attached to the bicycle’s frame. 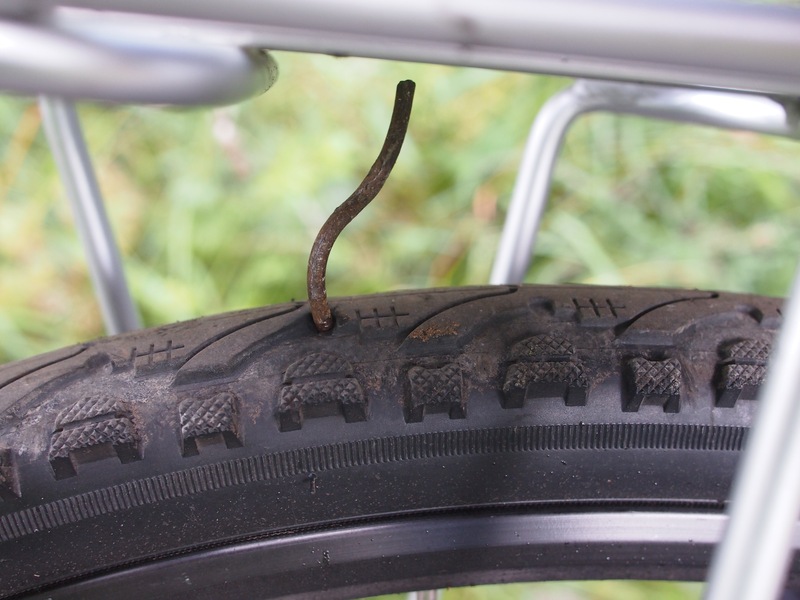 Pump and puncture repair kit – fortunately we haven’t needed these too often whilst we’ve done our training (we’ve had just two punctures) but you really don’t want to be stuck on a remote trail with a flat tyre and no way of fixing it. Padded leggings or shorts and gloves – we got cheap versions as we weren’t sure how much difference they would make. The answer is A LOT! Bottoms and hands unaccustomed to long bike rides will start to feel sore anyway and a little padding to keep that at bay for as long as possible was much appreciated. On a more positive note, I’ve noticed that the more training we do the longer it is before my bottom starts to ache, not that I’ll be ditching my padded leggings any time soon! Pannier rack and bags – it’s possible to make do with a small rucksack to carry packed lunch, snacks and waterproof jackets for training rides but it’s more comfortable if they’re in a bag attached to the bike rather than on your back. Obviously for the actual ride panniers will be necessary for our (hopefully) small amount of luggage. Cycling computer – it’s good to be able to log miles while you’re training to track your progress. We’ve used the free Strava app on Andrew’s iPhone. Of course once we had our bikes the next step was to get some miles under our tyres. It’s been helpful that we weren’t working for most of the summer and so could move our rides around to fit in with the best weather, and do longer rides during the week leaving us time to catch up with friends and family at the weekend. All told over 14 weeks of training we’ve covered almost 1500 miles. We started out from a fairly active lifestyle (i.e. lots of walking) but it was a long time since either of us had done any regular cardio training. We found that we were pretty quickly able to build up from 15-20 mile rides to about 40 miles and then gradually up to 70 miles within 10 weeks, doing 3-4 rides per week. In the final month we continued to build our stamina and found that we were getting faster without trying and I was pleased to notice that certain uphill sections also seemed to be getting easier as the weeks passed. We are incredibly lucky to have a veritable maze of paths close to our home meaning that we’ve been able to vary our routes easily without needing to do much riding on busy main roads. The Sustrans website has a useful map function and information on the National Cycle Network and it’s pretty easy to create routes in Strava too. 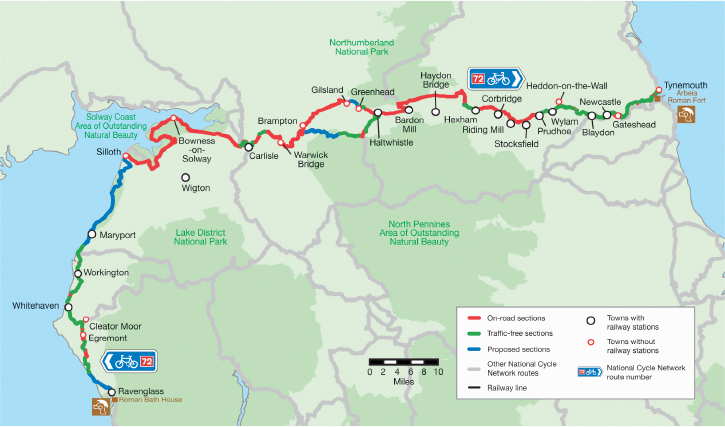 While the Hadrian’s Cycleway is reasonably flat, the C2C will be more challenging as it passes through the hilly Lake District and the northern Pennines. 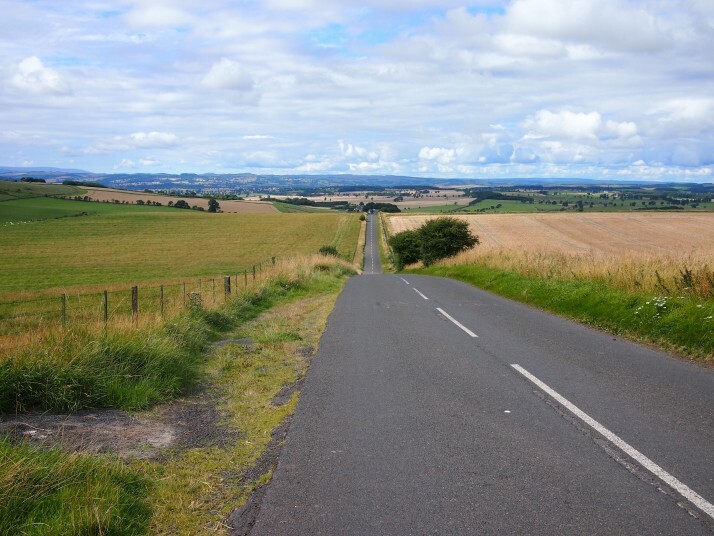 We’ve tried to prepare for this as best we can with some of the hills which are within range in Co Durham and Northumberland and also by regularly riding longer distances than our C2C days to ensure our overall fitness is high enough. Fingers crossed that will be enough! Although we know we need to train for hills, we were very glad to be heading downhill on this road! Having kitted ourselves out and worked on our fitness, the final step was to plan the route and accommodation. 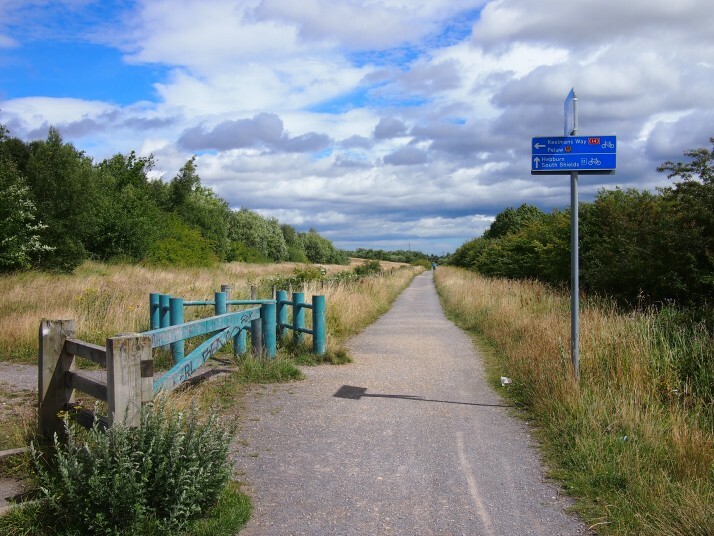 There are lots of resources online to help with the decision on where to break the journey and Sustrans publish a map of the route options and a book describing each section which we found helpful for assessing distances and elevations. We decided on two days to cycle to Whitehaven along Hadrian’s Cycleway, a rest day in Whitehaven and then three days back with overnights in Penrith and Rookhope. Some exceedingly fit people do the whole C2C in one day with the record being under 8 hours for the 140 miles but we want to enjoy the journey as well as challenging our bodies and fully expect to be stopping to take photographs and enjoy the view, not just racing along with our heads down. We’re hoping to do a short blog post each day with statistics of the day’s ride and a couple of photos (WiFi availability dependent) then we’ll summarise the trip once we get back. This entry was posted in Preparation and tagged Bicycle, C2C, G2C2C, UK on September 20, 2015 by Julie. Another adventure… Preparation is done, planning complete, kit is ready… Now go and enjoy the experience! Very best wishes for your ride. What is 12 + 24 ?